From 1805 to 1815 one of history's greatest generals dominated Europe; his name was Napoleon Bonaparte. The wars which bear his name have captivated the world ever since, and there is a large range of literature available; the following is our selection. Due to the interest one profound event in Napoleon's life, we have a completely separate selection of literature dedicated just to the Battle of Waterloo. Widely proclaimed as the best single volume work on the Napoleonic Wars, David Chandler's large book is easily the top pick. Maintaining an easy to read style across a detailed examination of the battles, tactics, and events, the book contains a wealth of information. However, I would suggest reading this with a suitable atlas handy (see below), and sheer size may make the book unsuitable for some. This is much shorter than Chandler and a perfect introductory work that will explain the conflict very well. There are downsides, as there’s a late start and you might want other books to explain Napoleon’s military origins… but you’ll hopefully find the subject fascinating and try other books anyway! Osprey has combined their four-volume ‘Essential Histories’ coverage into this one volume, so you get plenty of rich illustration to go with a slimmed down history. I like the way Osprey have catered to people who wouldn’t like Chandler, or even West, and praise them for it. Others will want more depth. This is a very substantial volume, with a footprint larger than A4 paper, and over an inch in thickness. A solid military narrative of the whole Napoleonic Wars is accompanied by a massive range of detailed maps, showing campaigns, battles and troop movements. The maps may look fairly dull at first sight (using a limited palette), but they really aren't! This classic work covers the leading commanders in Napoleon’s army: the Marshals. They alone are a fascinating and complex subject, full of problematic personalities, and this is a great supplement to a general history. A book about the things people often forget in war: economy, supply, organization. This isn’t a military study of Wellington’s army, but a detailed examination of how Britain managed to stay in the fight for so long, and ultimately be among the victors. While many accounts of the Napoleonic Wars concentrate on the tactics and troop movements, this volume extends to an extra dimension - the practical experiences of the troops themselves. Using letters, diaries and other primary sources, Muir explores how soldiers and commanders reacted in the field, implementing their orders in the face of mud, disease and cannon fire. An often vivid read. This 1100 page book is actually a collection of three linked volumes: March on Moscow, Napoleon in Moscow, The Great Retreat, all narrating the story of Napoleon’s invasion of Russia in 1812. There is in-depth descriptions, analysis, and first-hand accounts, and it’s an excellent work. Zamoyski is a rising star of popular history, and this pacy, exhilarating account is a shorter alternative to the other book on this list about Napoleon’s disaster in Russia in 1812. It can also be had very cheaply, but that’s no reflection on the writing, and don’t feel you have to ‘go long’ with Austin, as this is top class stuff. The war between Napoleon and his enemy in Spain and Portugal probably gets more coverage than it merits in England, but this is the book to read to bring yourself up to speed. It announced Gates to the public and is a story of political folly and military warnings. There are two books devoted to 1812 on this list, but Lieven covers the subsequent Russian march to Paris and how the Russians played a pivotal role in Napoleon’s defeat. Insightful, witty and detailed, you can see why it’s award-winning. This is a superb all in one starting point for both wargamers who want to paint their units and readers who’d like to imagine what they’ve covered in other books. However, it’s now very expensive if you don’t get a lucky bargain. You can understand how Zamoyski made 1812 gripping, but you might wonder how he did the same to the Congress of Vienna which followed Napoleon’s defeat. Half social event, half map drawing, the Congress sets up the following century and this is a perfect last volume. I can’t really neglect to include a book on the most famous naval battle of the era, and Adkins does strong cinematic work. It’s actually been compared to the great ‘Stalingrad’, which is high praise in these quarters. Muskets? Rifles? This is a guide to all the weapons you’ll come across in other texts, and what impact they had on the battles. Tactics, supplies and most other things are covered in a snappy manner. 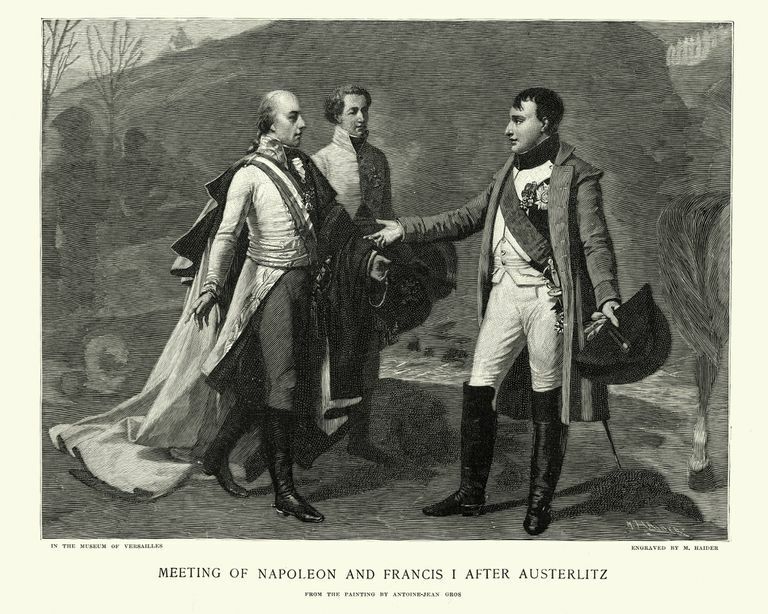 Using a masterfully written quality narrative of the Napoleonic Wars, Horne discusses how Austerlitz may have been Bonaparte's greatest victory, but it also marked a decline in his ​judgment: how far did Napoleon's own hubris contribute to his ultimate defeat? The Napoleonic Wars weren't simply about battles, and this volume presents the many social, cultural and political debates which occupy historians. Consequently, this volume is an excellent way of broadening your knowledge beyond the conflict itself. Issues include 'did Napoleon betray the French Revolutionary ideals?' and just what long-term effect did the Emperor have on France? This is a real favorite of mine: a guide to how units moved, operated and were formed during the wars, by a man who’s long been a favorite of wargamers. Unfortunately, it’s gone out of print since I bought mine and can be very expensive. One for the devoted reader. This all-time literary classic is set in Russia during the Napoleonic Wars, mostly in 1812. It’s big but isn’t too hard once you’ve got past the first hundred pages when a lot of names are thrown at you. Tolstoy has been praised for realistic battle scenes (i.e. chaotic) and I believe it’s so enlightening, atmospheric and powerful readers should try it.